HONG KONG - FEBRUARY 19, 2015: Twilight road view, highway exit and overpass, perspective and low traffic at evening time. Static camera, shoot using tripod. Alone pedestrian walk on sideway. 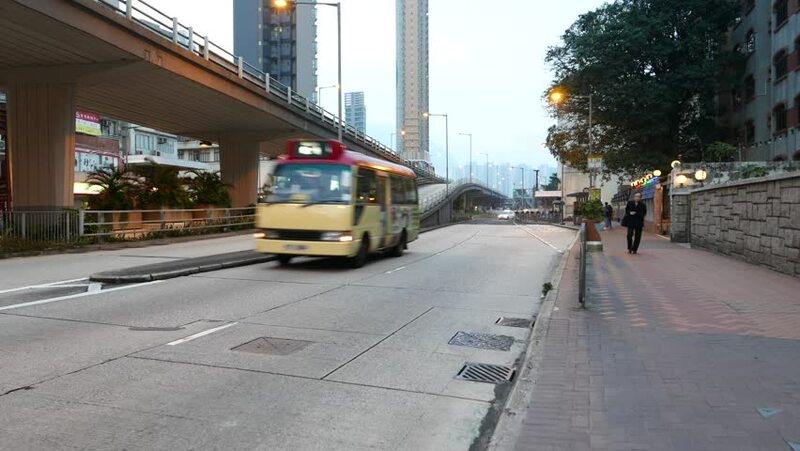 4k00:20HONG KONG - FEBRUARY 19, 2015: Evening street traffic, bus departs from stop. Real-time shot, static camera, shot using tripod. Nice lighting in evening time, bright headlights of the vehicles. hd00:33GUANGHZOU - APRIL 15: Traffic on April 15, 2012 in Guangzhou, China. hd00:15Traffic tree tunnel. Time-lapse. Bangkok Thailand .